CSIRO has released its Food & Agribusiness Roadmap, charting a course for products, technology and innovation to secure future success in the sector. and presents a key source of growth for the nation over the coming decades. However, climate change, geopolitical instability and technological advances are impacting the sector faster than ever before. Our previous successes cannot be sustained through productivity improvements alone and Australian businesses must now work harder to develop unique differentiators that would generate future growth. A global and value adding focus is a must. Australia’s Food and Agribusiness Sector has the potential to strengthen its position as a small but significant exporter of sustainable, authentic, healthy, high quality and consistent products. We must ask what unique strengths can Australian businesses leverage to remain internationally competitive? What global opportunities should the sector prioritise to generate sustained growth? And how can Government, research, education and businesses better collaborate. Drawing on our deep industry and business connections and the world class research expertise of our 5,000 science professionals, our Food and Agribusiness Roadmap outlines unique strategic insights into each of these questions and more. Deputy Director of CSIRO Agriculture and Food, Dr Martin Cole said Australia was well positioned to act as a delicatessen of high-quality products that meet the needs of millions of informed and discerning customers both here and abroad. “Australian businesses are among the most innovative in the world, and together with our world-class scientists, can deliver growth in the food and agribusiness sector amid unprecedented global change,” Dr Cole said. “Less predictable growing conditions, increasingly global value chains and customers who demand healthier, more convenient and traceable foods are driving businesses to new ways of operating. “Advances are already being made through the use of blockchain technology and the development of labels that change colour with temperature or time, or are programmed to release preservatives. The Roadmap was developed in collaboration with the government-funded food and agribusiness growth centre: Food Innovation Australia Limited (FIAL). Recently, FIAL launched their Sector Competitiveness Plan, which outlines the over-arching industry vision to grow the share of Australian food in the global marketplace and the necessary strategy to achieve the vision. “With the growing Asian middle class, Australia is in the box seat to take advantage of the many emerging export opportunities,” FIAL Chairman Peter Schutz said. “Consumers are looking for differentiated products that cater to their needs. Australia exports over $40 billion worth of food and beverages each year with 63 per cent headed for Asia. Dr Cole explained that Australia is a trusted supplier of sustainable, authentic, healthy, high quality and consistent products. “We must focus on these strengths and enhance the level of value-adding to our products,” DrCole said. The Roadmap outlines value-adding opportunities for Australian products in key growth areas, including health and wellbeing, premium convenience foods and sustainability-driven products that reduce waste or use less resources. Five key enablers for these opportunities are explored in the Roadmap: traceability and provenance, food safety and biosecurity, market intelligence and access, collaboration and knowledge sharing, and skills. These enablers align with FIAL’s knowledge priority areas that are central in helping the food and agribusiness industry achieve its vision and deliver increased productivity, sustainable economic growth, job creation, and investment attraction for the sector. The Roadmap calls for improved collaboration and knowledge sharing to generate scale, efficiency and agility across rapidly changing value chains and markets. “To survive and grow, the challenge facing Australia’s 177,000 businesses in the food and agribusiness sector is to identify new products, services and business models that arise from the emerging needs of tomorrow’s global customers,” Dr Cole said. 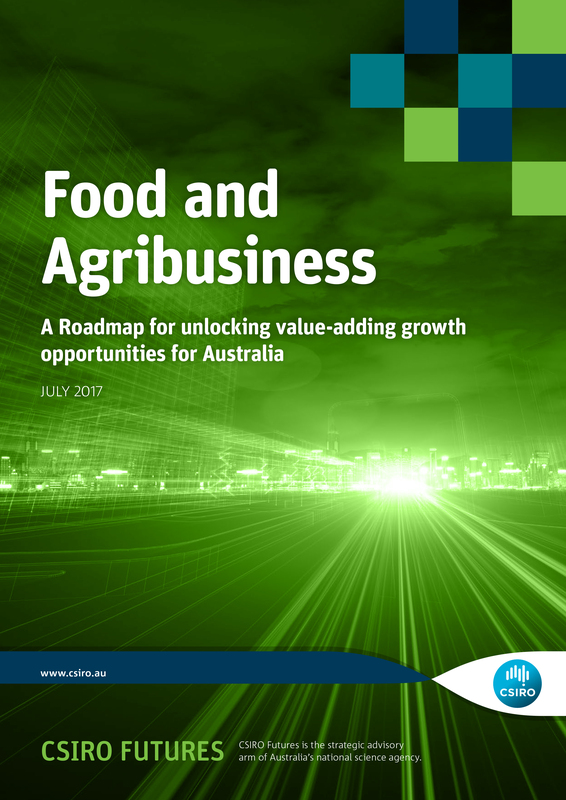 Full report: Food and Agribusiness Roadmap: unlocking value-adding growth opportunities for Australia. Australia exports over $40 billion worth of food and beverages each year, and 88 per cent of these exports are bulk commodities. Australia is a trusted supplier of sustainable, authentic, healthy, high-quality, safe and consistent products. While Australian SMEs rank among the most innovative in the world, FIAL has found that only 5 per cent of our employing food and agribusinesses are ‘businesses of tomorrow’ that actively pursue new markets, take risks, connect well to end markets and continually invest in capability and knowledge. Less predictable growing conditions, more connected global value chains and customers who demand healthier, more convenient and traceable foods are the major trends influencing food and agribusiness in Australia. By 2021, markets for naturally healthy (US $291 billion), food intolerance (US $42 billion) and organic products (US $45 billion) are expected to have grown at up to 4.5 per cent compound annual growth rate. The global edible insect market is expected to grow from US$34 million in 2014 to over $520 m by 2023. Australian businesses are increasingly value-adding. For the first time in Australia’s history, value-added/premium foods accounted for the majority (60 per cent) of food export growth in the three years to 2016. Products for health and wellbeing, including free-from and natural foods, supplements, fortified and functional foods, and personalised nutrition. Sustainability-driven products and processes, including those that convert waste, provide alternative protein sources, sustainable packaging and green and ethical value chains. Premium foods, including high-quality, convenient, fresh and packaged products; luxury products and gifts; tourism; and novel tastes, smells and textures. Traceability and provenance: Food fraud costs the global food industry an estimated US$40 billion each year. Key technologies in the F&A sector include digital tracking (RFID chips, bar codes, QR codes, blockchain) and biological readings (isotopic analysis, DNA fingerprinting, biomarker compounds). Food safety and biosecurity: An estimated 600 million (almost one in 10 people in the world) fall ill after eating contaminated food and 420,000 die every year, with the impacts greatest in Africa and South East Asia. 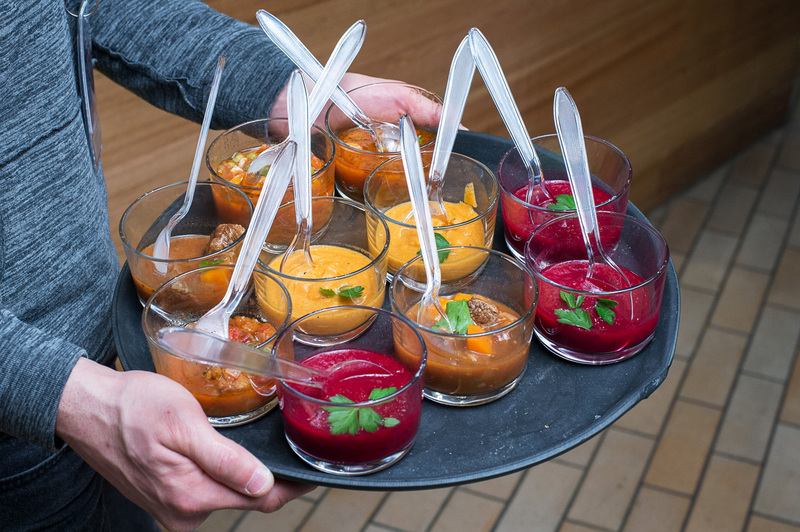 Technologies that can increase food safety include microwave assisted thermal sterilisation and advanced packaging, such as labels that change colour with temperature or time, release preservatives or absorb moisture or odours. Market intelligence and access: There is a significant lack of market intelligence within Australian F&A SMEs. Sensors and data analytics can track the end consumer and how the product is being used. Additional research can better understand regional preferences of different markets, especially in Asia. Collaboration and knowledge sharing: Regional clusters, business consortia and more holistic R&D solutions will enhance the collaboration needed to generate scale, efficiency and agility across value chains and markets. Skills: In coming decades, companies will need employees with broad-ranging skills, combining technical knowledge with an understanding of supply chains, experience with digital platforms and strong interpersonal skills. Both tertiary education and more structured on-the-job training have a role to play in developing these skills. Meals by Design are being developed by CSIRO to provide healthy, chilled convenience meals that cater for people with specific nutritional or functional needs. This report is the fourth in a series of five roadmaps, each aligned to the Federal Government's Industry Growth Centres.